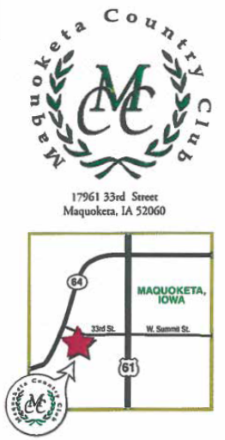 The first thing to be aware of this week is that today (Wednesday, April 17) we will be hosting the Maquoketa High School Girls Golf Invitational Tournament. 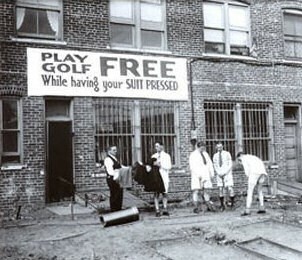 This 18 hole event starts at noon and the course will be closed until it is concluded. Next week on Wednesday, we will also be hosting the Boys Invitational at noon and a 9 hole boys meet at 2:30 on the 26th. Since I sent out an update last week, we continue to add new members! Please give a warm welcome to: Ron Schaefer, Jr. & Jessie Johnson, Eric & Tina John, Trevis & Nancy Mayfield. Keep spreading the news about MCC and encourage others to look into joining the club. *Thursday is Men’s Day from 10:30 a.m. until close. Starting tomorrow there will be Men’s Day games available to sign up for on the bar in the clubhouse. Typically these will include a skins game for $1 per 9 holes (money awarded to the person with the lowest score, no ties, on each hole) and another 9-hole game for $1 that will vary from week to week. *Ladies Day is on Tuesdays from 10:30 a.m. until close. The first Ladies Day for 2019 will be May 7; a four woman best shot will be held that day at 5:30. *Couples Golf will begin for the year on Friday, May 3. These are fun 9 hole events (some on Fridays, some on Saturdays) with the format varying depending on what the hosts come up with. The first Couples Golf theme will be “Cinco de Mayo on tercero de Mayo.” More details to come! *Tournaments and events from other area golf courses are posted on the bulletin board in the basement if you are interested in any golf road trips. *Hopefully we’re done with cold weather, but if we have mornings where there is frost on the course, please do not play until the frost is gone as that can cause damage to the course. *Please, do not bring your own beverages onto the course. Other than dues, our primary source of income is revenue from the bar. We encourage you to frequent the bar for your soft drinks, beer, and cocktails when the club is open day or night. *Please sign in for golf in the notebook on the bar. And please introduce yourself to the bar staff as some of them are new as well. *We have a number of social events throughout the year. Information will be sent out about these so you can plan to attend in advance. The next fun event coming up is the Kentucky Derby Party on May 4; I’ve attached the flyer with all the details. Speaking of social events, the Steak Fry held this past Saturday was a big success with almost 50 meals served. Thanks to the Social Committee for putting this on. Also, congratulations to Larry McCaulley for winning half the jackpot ($30) in the Friday cash drawing. Remember to sign up and pay your dollar at the bar for a chance to win all or some of the next jackpot. More belated congratulations to Larry for having a hole-in-one while playing golf in Florida in early March! We are looking for bartenders; some weekend work required. If you know of anyone interested, please have them apply in the clubhouse. I would like to thank all the people that came out to help on the clean up day. It was a great day and it is awesome to see how the membership cares for its facilities. 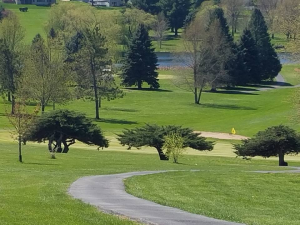 Thanks to the following people: Boys and Girls High School golf teams, Craig Johnston, Tom Evans, Stacey Rockwell, Ardy Behrens, Chad Sheldon, Roger Hanson, Keith Keil, Herb Curl, Jay Cherry, Buddy Atienza, Caiden Atienza, Bill Otteman, Sak Klein, Teri Taylor, Art Wing, Abe Dostal, Jay Dostal, Doug Goodall, Sue Goodall, Karysa Carson, Alex Beck, Sam Hillby, Ted Maze, Rick Batey, Cindy Heck, Chris Schafer, Erin McCaulley, Ethan McCaulley, Cael McCaulley, Mason Manning, Larry McCaulley for the use of his time and tractor. If I have missed anyone I am truly sorry. Everyone’s effort was much appreciated.